In case you were wondering, here is the schedule for Saturday’s supercross at Met Life Stadium in East Rutherford. Only 2 rounds remain in the 2017 series and after Eli Tomac’s win on Saturday night in Salt Lake City he is your points leader. 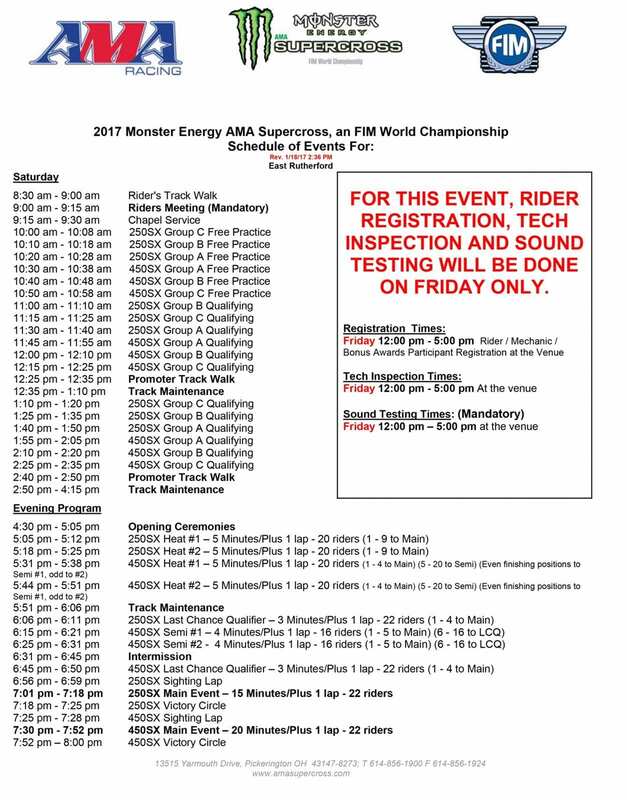 An important reminder, this is an afternoon/evening race with opening ceremonies beginning at 4;30 so get there early and enjoy all of the excitement that Monster Energy Supercross has to offer.